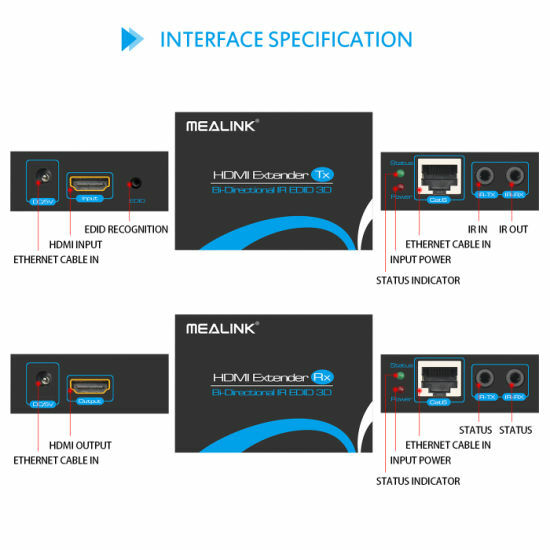 Single Cat5e/6 HDMI Extender, HDMI Extender, 3D HDMI Extender manufacturer / supplier in China, offering 60m HDMI Extender Over Single Cat5e/6, HDMI V1.3, Mini HDMI to VGA Adapter (with audio), Bluetooth 5.0 Wireless Earbuds with Auto-Charging Box and so on. 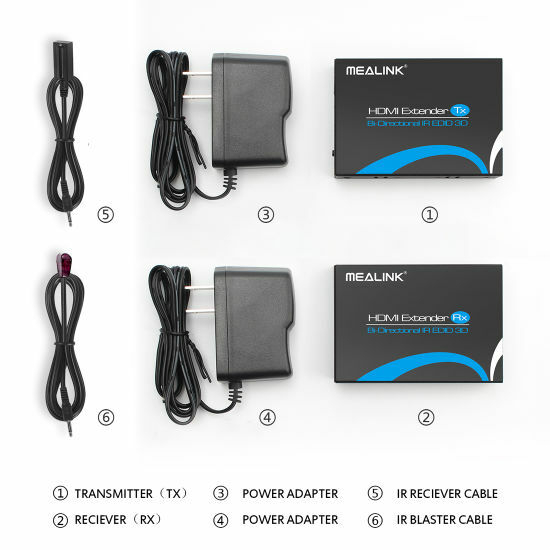 Each set includes one Sender and one Receiver. 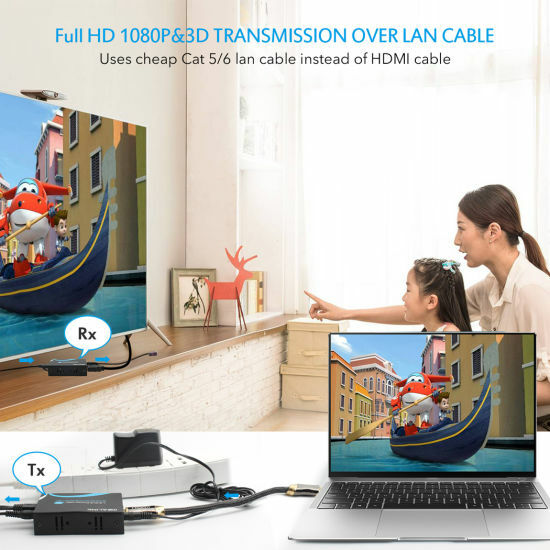 Use single UTP LAN cable(Cat 6)to substitute HDMI cable to achieve long transmission distance, the UTP Cable follows the standard of IEEE-568B. Transmission distance extends up to 60 meters under 1080P. Supports lossless compressed digital audio: Dolby True-HD, DTS-HD Master Audio. Transmit Digital Audio and Video over the CAT6 cable with zero signal loss. Support Audio Format DTS-HD Master Audio,Dolby true-HD etc. Note1: Specifications are subject to change without notice. Mass and dimensions are approximate. 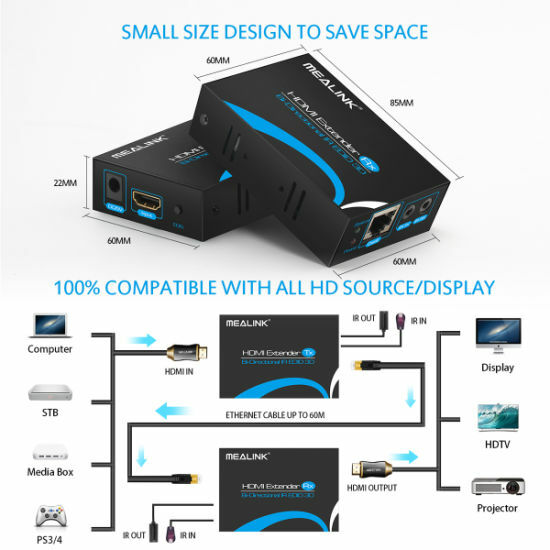 2.When in 36Bits deep color mode, we suggest set the HDMI source device to output 1080i or 720p. Our company reserves the right to make changes in the hardware, packaging and any accompanying documentation without prior written notice. 8:EDID copy mode: connect the display to the HDMI input port, then press the key, it'll copy the EDID to the extender; Reset EDID: press the key for 3 seconds, it'll reset the EDID to 1080P 3D stereo. 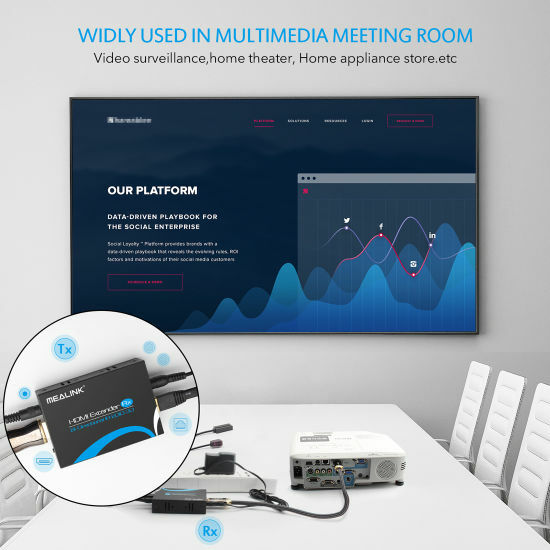 1) Connect the HDMI signal sources (Such as PS3, STB etc) to HDMI Sender. 2) Connect CAT 6 cables to both the outputs of the Sender and inputs of the Receiver. (The cables must follow the standard of EIA-TIA 568B). 3) Connect the HDMI output (Such as HD-LCD, HD-DLP) into the Receiver.